With this sliding-grip holder, you can use almost every bit of a pencil before having to throw it away! The Pencil Lengthener adds that feeling of balance and allows for a good grip. 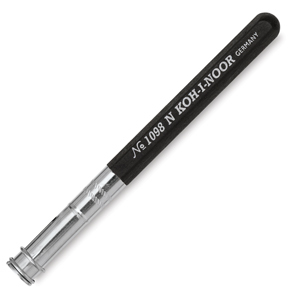 It holds both round and hexagonal pencils securely in its nickel-plated ferrule with sliding ring.